Unless you are a Rugby League player. 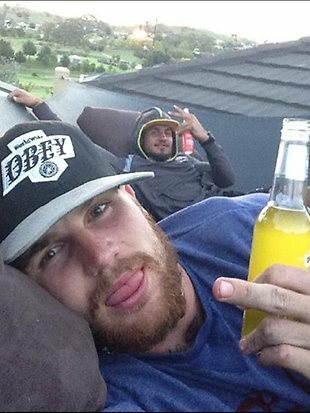 Josh Dugan has always had an X factor. He can manufacture something from nothing, an ability only few players have. He has previously represented NSW and apart from a few positional errors he performed quite well. But I want to make it clear that I think Josh Dugan should not be considered for any games in the remainder of the 2013 State of Origin Series. For a number of years Josh Dugan broke club rules at the Canberra Raiders. Like a petulant child he would breach club policies regarding drinking, late training infractions and curfews. The raiders always knew he was a talent but unfortunately so did Dugan. He was fined several times, stood down from games and called before the board throughout his career at the raiders. Constantly testing the resolve of the club and always knowing that there would be little to no repercussions for his actions. But after a very public display of defiance and his absence from training the Raiders were at breaking point. Instead of approaching management and dealing with his issues, he sat on his roof, picked up a breezer and took to instagram. A display of behaviour befitting a 16 year old girl who wanted to get back at her parents. After a complete ‘no show’ at a disciplinary hearing the Raiders had no option but to terminate Dugan’s contract. To prove that Josh Dugan hadn’t learned a thing from his sacking he took to twitter weeks after he was fired. Once again behaving like a child and insulting people in a public forum. The result of this was that the Broncos withdrew their interest but it simply was opened the door for St. George. In short, the Raiders sacked Dugan in March 2013 after a number of disciplinary infractions, he had a rest for 5 weeks, gets resigned by the Dragons for the remainder of the season and is now is being considered to play origin. I might try this on Monday instead or turning up to work. I will just send a picture to my boss of me sitting on my roof, getting blind and giving him the one finger salute. Then following this I won’t make an appearance offering any explanation or apology. Going by what happened to Dugan. I will get fired. Have 5 weeks off. Then get rehired by another company and offered a promotion in the middle of the year. Sounds brilliant! But somehow I don’t think it is very likely. The reason being, is that this kind of behavior is not tolerable. It doesn’t matter what industry you are in, it is never acceptable. Rugby League officials are always encouraging the players to be role models. Well how about they show some leadership and make players like Josh Dugan accountable for their actions. The Canberra Raiders refused to tolerate his poor behavior and drew a line in the sand. Sending a clear message that no player is above the rules. The NSWRL and the NRL need to show the same fortitude and support club these actions. But instead they keep Dugan registered and continue making money off his name. It is a disgrace. In his last 4 weeks Dugan has performed well at club level and there are a few people calling for his inclusion in the origin side to replace the injured Jarrod Hayne. With reporters like Phil Rothschild stating that because he hasn’t been a dickhead for 4 weeks and is playing good football then he has learned his lesson. Further to this the NSW coach Laurie Daley stated that he would have no problem including Josh Dugan in his roster. His performances on the field have no reflection of his behavior off it. This is the problem. Dugan has the ability to continue carrying on like a dickhead and still play well. The only thing Josh Dugan has learned from this ordeal is that as long as you keep playing well , you can keep writing your own cheque. Just like when he slices through a poor defensive line he has managed to do the same through the disciplinary minefield. If we are genuine about setting examples for children then players need to suffer consequences for their actions. These aren’t working as a ‘labourer for a week’ or making a ‘twitter apology’. They have to mean something. Dave Smith should have made Josh Dugan ineligible to play the remainder of the year with any NRL club. This would publicly support and vindicate the Raiders decision to fire him, appease the fans and set an example to all players that actions have consequences. But at the very least not being considered for Representative Football would be a good start. The word ‘Representative’ says it all. He doesn’t deserve to ‘represent’ my state and further to that ‘represent’ my country. Honour, Loyalty, Pride and Passion are words associated with the jersey. None of these can be used to describe Josh Dugan, for now at least. Everyone deserves redemption but you can’t absolve someone of their sins without making them work for it. If he finishes the season without any problems then he can resume his representative career in 2014. A small price to pay for the turmoil he has caused. But who knows maybe Josh is onto something. Towards the end of the season he might slip out to the shed, grab a ladder, a case of breezers, his phone and climb his way into an Australian Jersey. He might as well. It worked out pretty well the first time. I am in the quoting mood and I found this one that I think sums up Mr Dugan. I wish I could have written that rant. Dugan is a disgraceful example of how to be rewarded for bad behaviour. He is obviously not intelligent, but has football ability when not injured or faking injury. I’m troubled about how many equally intelligent young men may emulate his example, and end up sacked or much worse, which is the usual consequence of throwing in your job and telling people to kill themselves.